The Swiss town of Davos is being visited by important figures from the worlds of politics, business and culture. Spain´s King Felipe IV, speaking at Davos for the first time, made a defense of the Spanish constitution. In reference to the separatist movement in Catalonia he said, “A lesson to be learned from this crisis, a lesson not only for Spain but for democracies in general, is the need to preserve the rule of law.” The King also expressed his desire that Spain occupy the place it deserves in the world. German Chancellor Angela Merkel, French President Emmanuel Macron and Italian Prime Minister Paolo Gentiloni all agreed on the need to move the European Community, in spite of the announced departure of the United Kingdom. Regarding “Brexit,” UK Prime Minister Theresa May pointed out that more actions, and less rhetoric, are needed in favor of free trade. She ensured that, after brexit, the UK will continue to be a “global defender” of transactions without barriers. 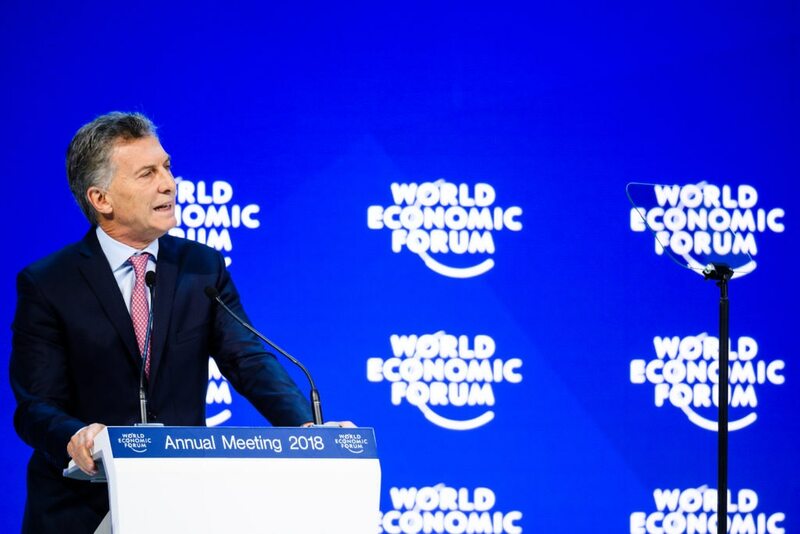 Among the Latin American leaders, the standout was Argentine President Mauricio Macri, the current president of the G20. He unveiled the group´s priorities for 2018, saying it will address issues such as the future of the working world, infrastructure for development and food security. A mood of optimism prevailed among the business leaders at Davos. The outlook for world economic growth is better than originally expected (BBVA Research predicts it will rise 3.8% in 2018) and the more gradual economic slowdown in China, among other factors. Interest was high ahead of the closing speech this Friday by President Trump. He defended that “America First does not mean America alone,” according to The Financial Times. On the other hand, “there has never been a better time to invest in the United States,” he said. 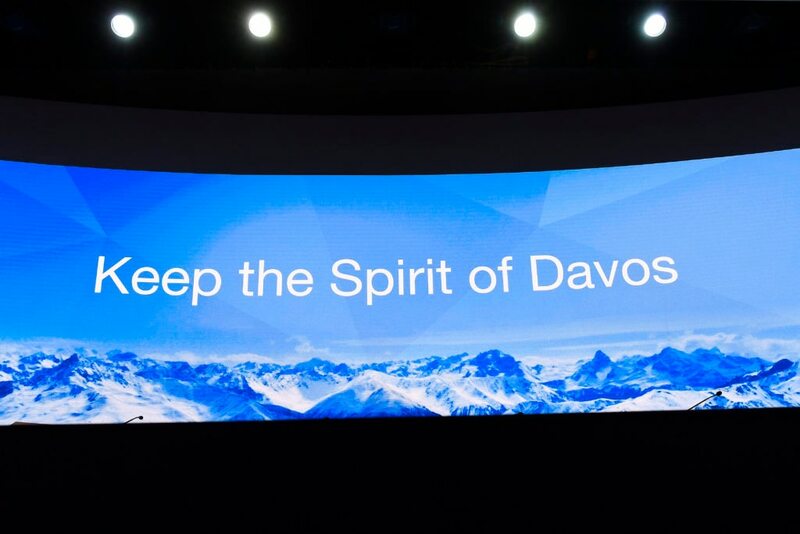 The two most senior executives of the BBVA Group, Group Executive Chairman Francisco González and CEO Carlos Torres Vila are both attending the Davos event. The Chairman has already taken part in a panel on the global business context, where he stated his opinion that “we have to become a digital company as soon as we can.” In his opinion, the challenge is to be as efficient as the internet giants and to attract the best digital talent. Bloomberg TV interviewed CEO Carlos Torres Vila, who was also attending the Davos event for the first time. He responded to questions about the bank´s transformation, the PSD2 directive, cryptocurrencies and blockchain. “We are reaping the benefits of fintech, as can be seen in the metrics of customers that choose to operate on digital channels,” he said. Digital sales have gone from being 1 in 10 only two years ago to 1 in 3 today. “This is trend is growing exponentially,” he said. Carlos Torres Vila also defended blockchain, saying it is “a promising technology that will have a disruptive effect on the way banking is done.” On the other hand, he regards bitcoin as a high-risk asset. 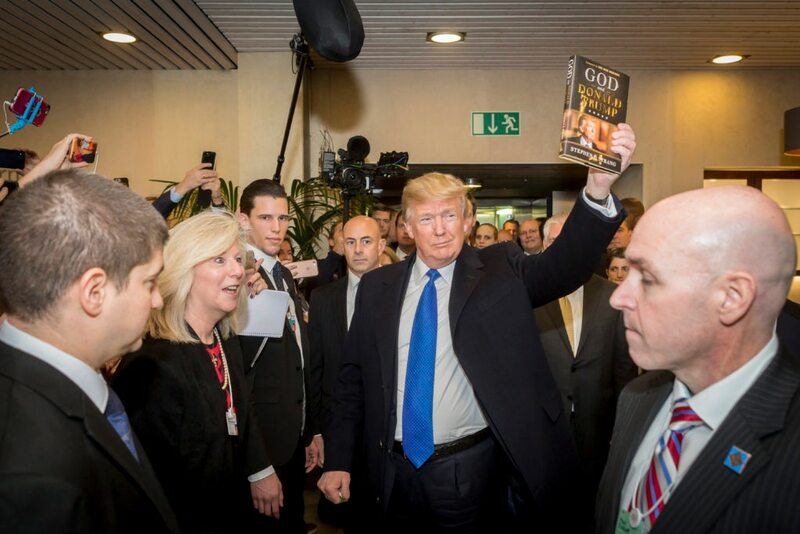 U.S. President Donald Trump has confirmed his attendance at this year’s annual World Economic Forum, which will kick off on January 23 at Davos, Switzerland. President Trump will share the spotlight with some 60 heads of state and government, and an ensemble of business leaders, scholars, artists and prominent figures from civil society. Together, they will seek to deliver on the meeting’s theme: “Creating a shared future in a fractured world.’ Indian Prime Minister Narendra Modi and President Trump will deliver the event’s opening and closing speeches, respectively.